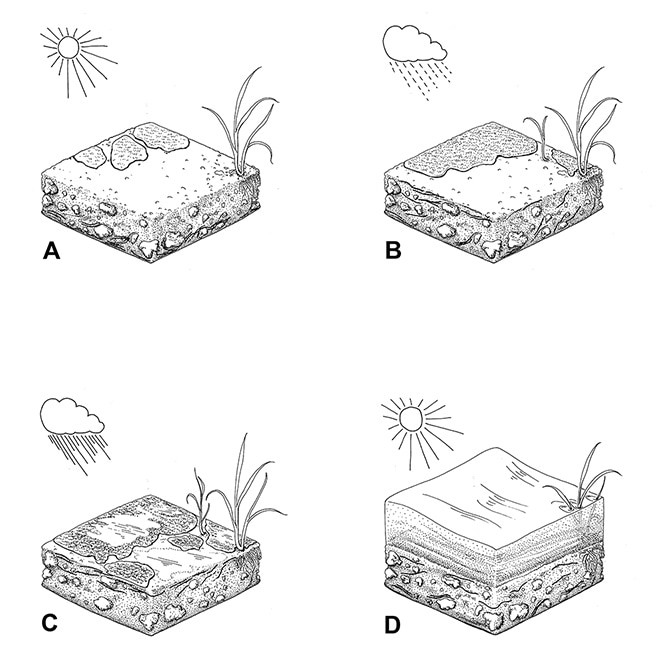 A series of drawings showing the response of cyanobacterial soil crusts to the water and sunlight levels of (A) fine weather, (B) light rain, (C) heavy rain and (D) flooding. Cyanobacterial soil crusts in Australia. A series of four drawings demonstrating the response of soil cyanobacteria and crusts to rain and flooding.